Enjoy a wonderful stay at Our Raglan Town House. 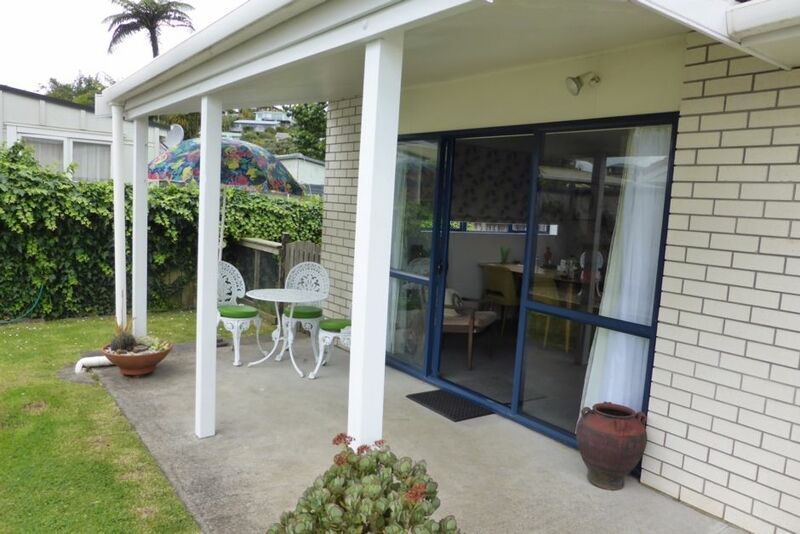 We are only 2 minutes walk from the centre of the beautiful Raglan township and have off street parking. The Harbour, beach, playground and skate park are only a short walk across the foot bridge. Raglan Golf course (with mini-putt) and Ngarunui surf and swim beach a 5 minute drive away. Raglan has an abundance of quirky shops, great cafes and eateries. Something for everyone. You cant beat this central location. Waireinga (Bridal Veil) falls, Bush walks, Mount Karioi, Ruapuke beach, Horse treks, Fishing, Kayaking, Raglan Rock adventures and the Wahine Moe Sunset cruises are a small number of activities that Raglan has to offer. Raglan truly has something to enjoy for everyone. For more information on these activities and more please see the Raglan information website. All extra visitors gone by 10pm. Comfortable living space with heatpump/aircon, featuring local Raglan artists, retro quirky feel. Only about 200m walk to the beach. Tea, coffee, sugar and milk. Golf course about 3kms away and fairly cheap for a round. Also has mini golf. Great location and very handy to get around with the kids. Clean and comfortable. We would highly recommend this lovely townhouse. It was very comfortable, & had everything you needed. Walking distance to the shops. Really clean & tidy. Enjoyed our stay. Close to shops and river for lovely swimming. Walked to heads on low tide which was invigorating and relaxing. Enjoyed pottery art shops. Visited left break wave beach and bridal falls. Great location. Very well equipt property, everything from tea and coffeee to colouring pens. The townhouse was really comfortable and clean. Artwork books and games were a welcome touch. Walking into town is very close and the beach only a 10 min drive. Getting to property was easy even late at night in the rain and owner was helpful via message during the stay. Raglan has an amazing range of activities to suit every person from the adrenaline junkie to art lovers and beach sunbathers. So many great cafes, bars and restaurants. Art galleries and weekend creative markets are local hot spots that include some lovely street food. Come and visit Raglan, you wont regret it and probably wont want to leave.